and the equipment I use to make photographic magic! Here’s a little BTS tour of The Soul Echo HQ, and the tools that enable me to create photographic magic in this world! If you have any questions, I’d love to connect with you - you can drop me a note to hello@thesoulecho.com. I also use a gorgeous iMac and MacBook Pro to edit, type and explore online! 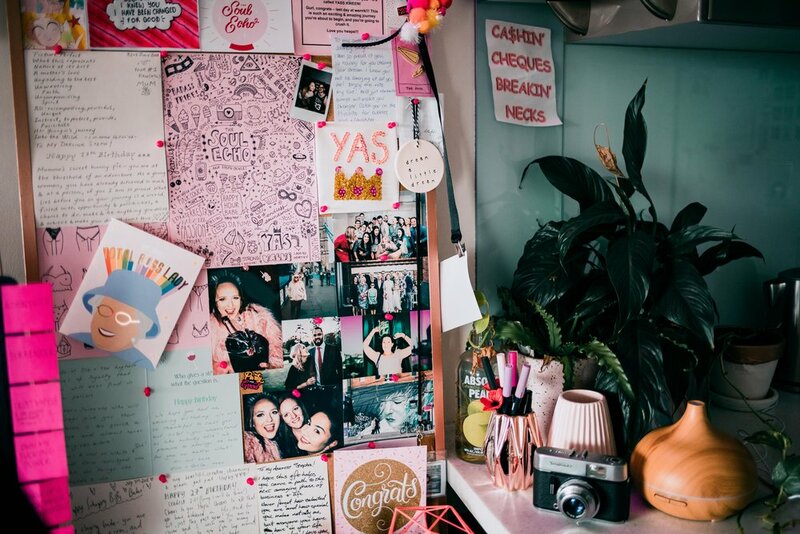 Welcome to The Soul Echo headquarters, a sparkly pink corner of our 1 bedroom apartment! My office is nice and cosy, wedged in between our kitchen and our living room, and while it might be pretty damn humble (and at times squishy), I wouldn’t have it any other way. 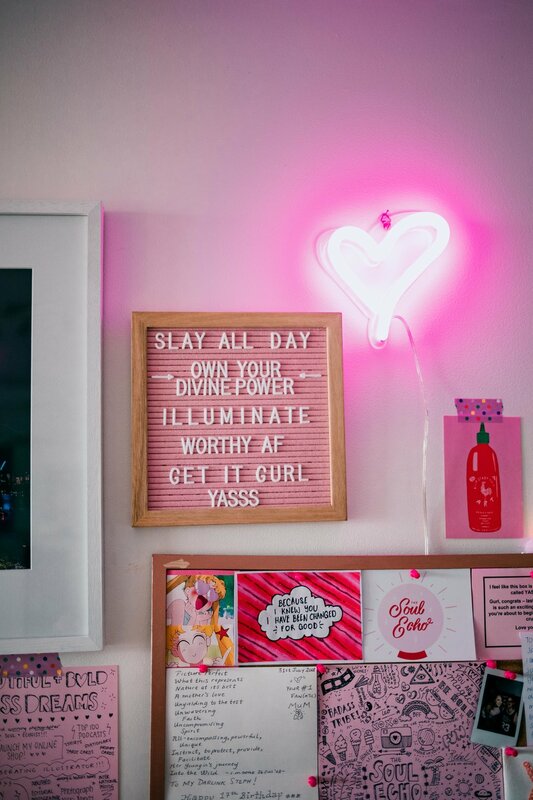 I’ve made it an aesthetic echo of my biz and my heart, with lots of pink, affirming words, photos, art, messages from loved ones and my collection of crystals. I’m sure TSE will expand into a bigger space in the future but for now, I’m choosing to revel in this divine lil’ space and celebrate this period of my journey.